Your treatment will commence with a professional skin analysis and a complimentary Reveal Imager Session. Our therapist will assess your skin to provide a tailored IPL Photo Rejuvenation solution to suit your individual condition and skin type, providing superior cosmetic results. To prepare the skin, a cold gel is applied and a hand-held instrument which transmits broad spectrum light into the tissues is placed gently on the skin. The light specifically targets unwanted pigmentation or small blood vessels (broken capillaries). You may feel a slight sting, like the flick of a rubber band with slight heat, but this only lasts a fraction of a second. The light stimulates collagen growth, which naturally leads to more radiant facial skin. The treatment is usually done in several sessions. We have had exten­sive train­ing in IPL Photo Rejuvenation so you can rest assured you are in safe and pro­fes­sional hands. There is minimal to no down-time or side effects for this treatment and you can return to work immediately. The skin may become pink or slightly red, and in some cases, there may be some mild swelling for a few days. You can wear makeup right away, however to cover up any skin irritation and promote healing we highly recommend Lira BB Tint. Within a few days, you will begin to see the results of the treatment, as your fresher, more radiant skin emerges. If you have any brown spots or uneven pigmentation, they will turn slightly darker with a “miloing” effect after your treatment and eventually shed off after a week or so. Pigmentation and sun damage can be noticeably reduced in as little as a few days post treatment. Remember that your skin will be very sensitive to the sun. For a period of time following your IPL procedure, you should avoid being in the sun and will need to wear sunblock whenever you are outside. Of course, sunblock will also help you to avoid future sun damage and age spots. Take care of your beautiful new skin! Book your FREE consultation and test patch (must be 4-7 days prior to commencing your first treatment. Avoid sun exposure, tanning beds, spray tan and self tanning lotions for 1 month prior to treatment. Use a sunscreen (SPF 30+) daily on the area to be treated one month prior to treatment. Commence recommended skin care program at least two weeks prior to treatment. A few treatments may be required to achieve your desired results. Each treatment generally takes 20 minutes or less, and treatments are repeated every month or two. Blotchy, sun-damaged or discolored skin, age spots, large pores, freckles, spider or varicose veins are all conditions that can be successfully treated with IPL Photo Rejuvenation. The procedure is also convenient for those with busy schedules because it’s quick and requires no down time. IPL Photo Rejuvenation cannot be performed on clients containing a heavy amount of colouration in the skin due to UV exposure, false tan or clients who may be on particular sun-sensitising drugs. During your consultation, your Therapist will discuss the procedure with you and help you decide whether IPL Skin Rejuvenation is right for you. 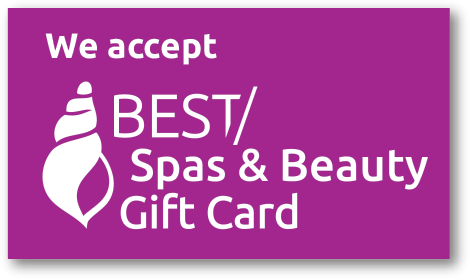 New Loyalty Maintenance Program with IPL Photo Rejuvenation – ask us about it!